Frank Williams is a small business owner and Brunswick County native who was elected Brunswick County Commissioner from District 5 on November 6, 2012 in his first run for public office. 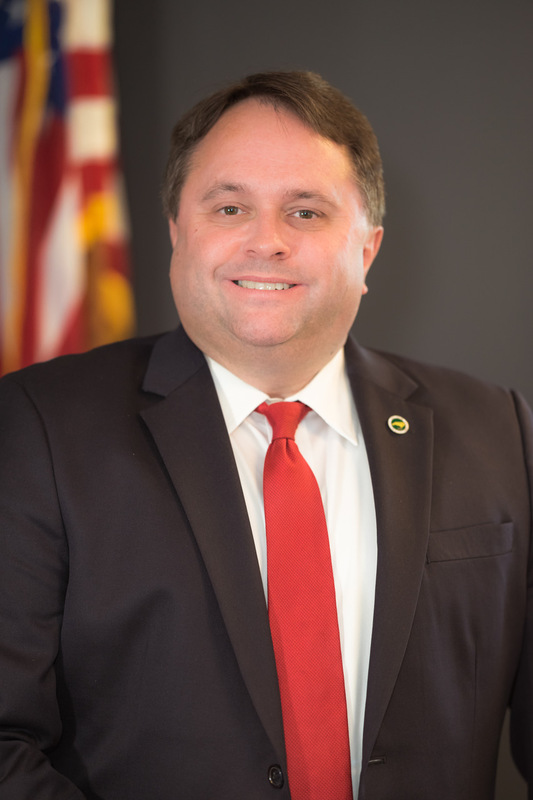 He was elected to a second term on November 8, 2016 and was first elected Chairman of the Brunswick County Board of Commissioners on December 5, 2016. He also currently serves as 2nd Vice President of the N.C. Association of County Commissioners. Frank lives in Leland with his wife, Lori. Frank grew up in the rural community of Northwest, located ten minutes west of Leland, and is the among the fourth generation of his mother’s family to live in the community. His first leadership role came as a teenager, when he served as a Patrol Leader in Leland’s Boy Scout Troop 265, and his first job was working as a busboy at the Sandpiper Seafood House in Leland. He also spent two summers working in the summer student program at what was then Federal Paper Board (now International Paper) in Riegelwood. He graduated from North Brunswick High School in 1988 and earned his undergraduate degree from N.C. State University in 1993. Frank takes an active leadership role in the community, having served on the boards of directors of Communities in Schools of Brunswick County, the North Brunswick Chamber of Commerce and as president of the Leland Area Rotary Club. He has also served on the Brunswick Community College Small Business Center Advisory Committee, chaired the Boy Scouts’ 2010 and 2011 fundraising breakfasts in Leland and served on the executive board of the Cape Fear Council of the Boy Scouts of America. Professionally, Frank is president of Pioneer Strategies, a public relations and strategic communication agency he founded in August 2001. He received both the N.C. State University Communication Alumni Circle’s Outstanding Alumni Achievement Award and the Triangle Business Journal’s “40 Under 40″ leadership award in 2006. He self-published his first novel, After the Republic, in 2015, and completed the sequel, Convergence, in late 2017. Frank is an avid sports fan (Go Wolfpack!) and enjoys fishing, reading, writing, movies and relaxing on the beach. Frank and Lori attend Northside Baptist Church.